Register now and start your online casino game adventure. 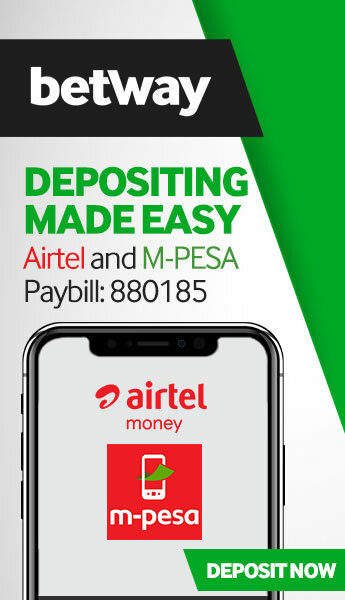 As it turns out, the Kenyan gambler’s favourite way to wind down (or, more accurately, spin around) in between sports fixtures is to play online roulette at Betway Casino. Playing roulette at the casino is far more absorbing than you think, and there are so many ways to customise your play on the classic game, such as European Roulette, splitting your bets across red, black and the numbers of your choice. Spin and Win Roulette is a much more simplified, high-paced version of the roulette game, where the wheel only goes up to number 12 (as opposed to 36) and you can make quick bets across however many numbers you wish. If there are certain numbers which feel luckier in-the-moment, you can bet more on each one. Go from the tunnel to the table, all in the space of half-time, with quick-to-play, colourful and classic online table games. The Betway Online Casino is open at all hours, and there is, of course, a seat waiting for you at the roulette or blackjack tables at all times – and it might just be your couch, or wherever you choose to be sitting. You’ll be cheering on number 21 with easy-to-play online blackjack. Go head-to-head with the dealer and try your best to get closest to tallying 21 on Classic Blackjack Gold Series. If you’re in the mood for something a little different you can dabble in playing an enhanced blackjack dynamic on a game like Vegas Strip Blackjack, where, depending on the cards, you can double your bet after you’ve seen your first two, but you can’t see your dealer’s second card. You’ll also get the option of insurance if you happen to lose your hand. Get to know your playing cards and go for a royal flush on this definitive online casino favourite. This is poker in its simplest form; it’s all in the hand you’re dealt. The game will hold your most promising cards, and then you can draw again to see if you strike lucky. Play Jacks or Better Video Poker and you’ll get the chance to double your win by selecting a card with a higher value than the drawn card. Manage to guess correctly and you can double again… and again… and again, or collect your multiplied winnings. Sometimes second division Azerbaijan League fixtures just don’t cut it on a slow soccer day, and while you may have your bets ready and placed, there’s still a fair amount of excitement lacking. 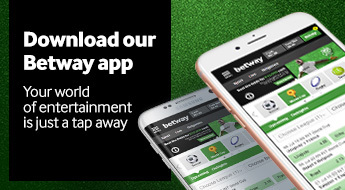 We’ll call the Betway mobile casino the “Mini London Derby” of in-between moments, whether it be a long, sweaty drawn-out queue, a lazy Sunday afternoon or while you wait before an actual London Derby to kick off. The promise of mobile gambling is that you can take it with you wherever you are, and, with a quick navigation to Betway online, you’ll have access to plenty of mobile casino games whenever you like. You now are the proud owner of a casino on your phone.